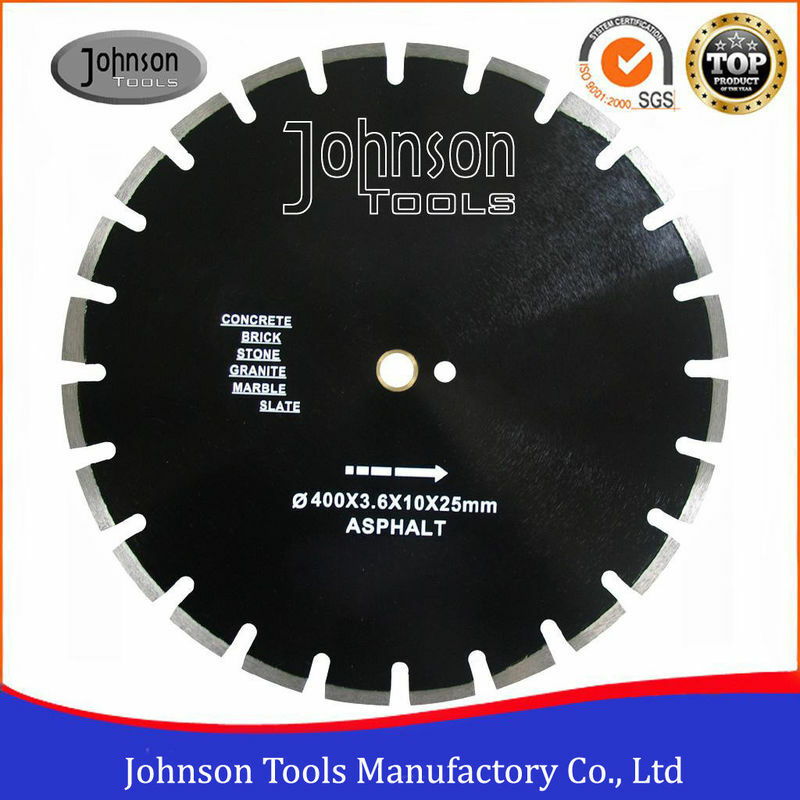 Laser welded Diamond Saw Blade used for Asphalt and Abrasives material cutting with high efficiency. Ladder shape protection segments prevent wear and tear of the steel core by abrasive materials, and suitable for road saws from 13hp to 99hp. 2. Strict quality control and management system. 3. Different segment heights and inner hole sizes available. 4. Protection segment type:L/H5, L/H3, N/H5. N/H3. 4. Inner hole:22.23mm, 25.4mm, 50mm, 60mm, 80mm or others. 5. Special size could be made upon request.